Physical activity is my second highest priority. The title of this blog “Right Lane Ends” is based on my experience from a 5-day trip around western/central Washington this summer (mid September). 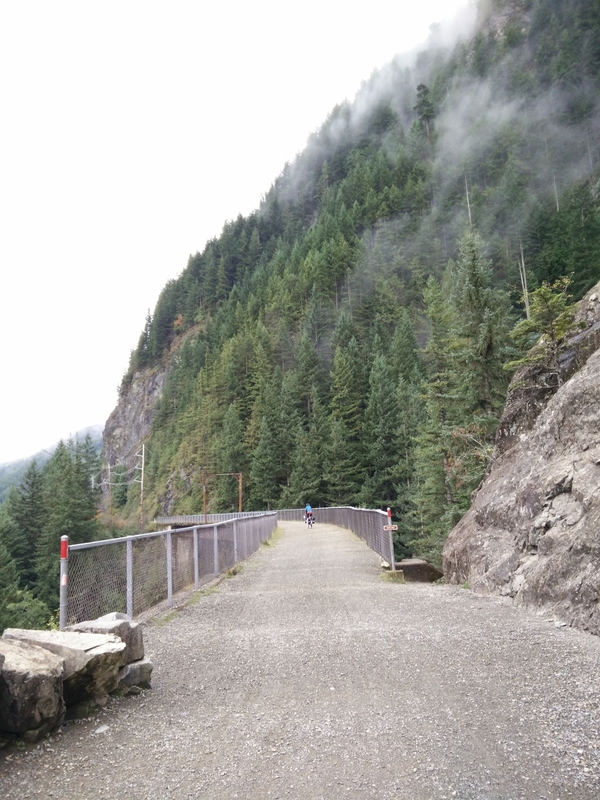 Mako and I biked ~350 miles with ~18000 ft climbing during this trip. We noticed that an extra lane (right lane) is added whenever a road becomes hilly for a long distance and when we near the top of the climb, there is a traffic sign saying “Right Lane Ends”. Since I’m not a big fan of climbing, I was really, really happy every time I saw “Right Lane Ends”. I feel like it’s a good thing for me to remember while working on challenging projects, so I decided to use this sign as the title of this blog. We made a wiki page to prepare for the trip. Wiki is a really easy way to plan a bike trip with other people. We made a more customized map for each day to mark where to get food and beer (important!) etc. We brought just about the right amount of food and liquid. Each of us had about 14kg of stuff at the start – I was in charge of all the food items, so every day my bags got lighter (yay!). There were very few items that we didn’t use. * Gravel paths definitely slowed me down. I was going up on Iron Horse Trail at about 5 miles per hour. We left each campsite by 9AM, so that we could get to the next site by the sunset. 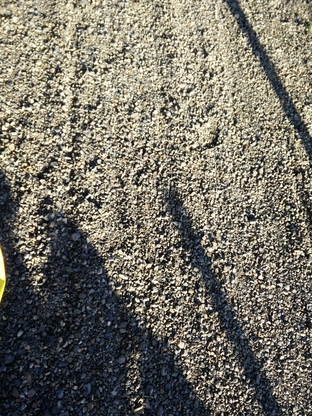 Thick gravel on Iron Horse Trail past Hyak. * It was cold at night, so I wore my sweater and down jacket (Uniqlo ultra light) inside the sleeping bag. I also had a heat pack too. * 5 day trip is doable but having a couple more days would have given us more time to explore local attractions (i.e. Maryhill art museum). * Public restrooms along the trail were all very clean! Many thanks to whoever is in charge of these restrooms. * Checking Google Street View before finalizing the route is important. Some suggested routes involved biking hiking on a rough dry terrain (probably with rattlesnakes) for an hour. * Ibuprofen was my dearest friend throughout this journey. My previously injured knee hadn’t completely healed, which I didn’t notice until a third of the way up to Snoqualmie Pass but diligent intake of ibuprofen led me to Portland! Finally, I think this trip is doable for anybody who commutes on a bike regularly. 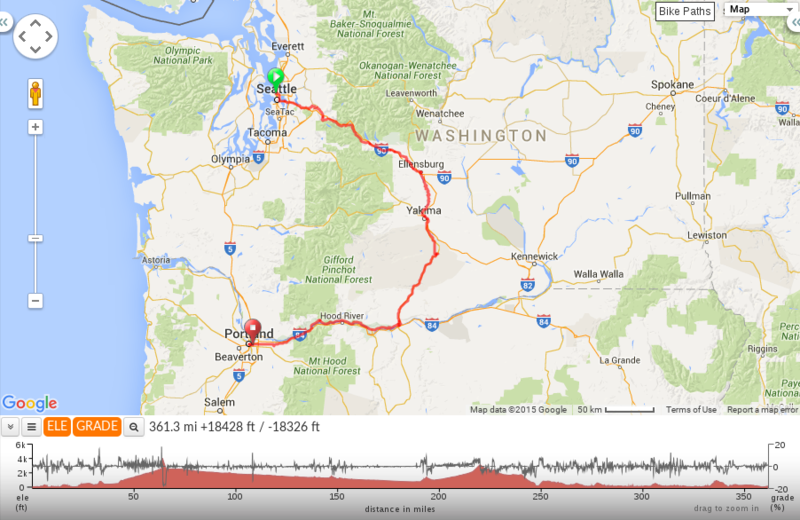 I highly recommend it to people who want to start bike-touring in WA! 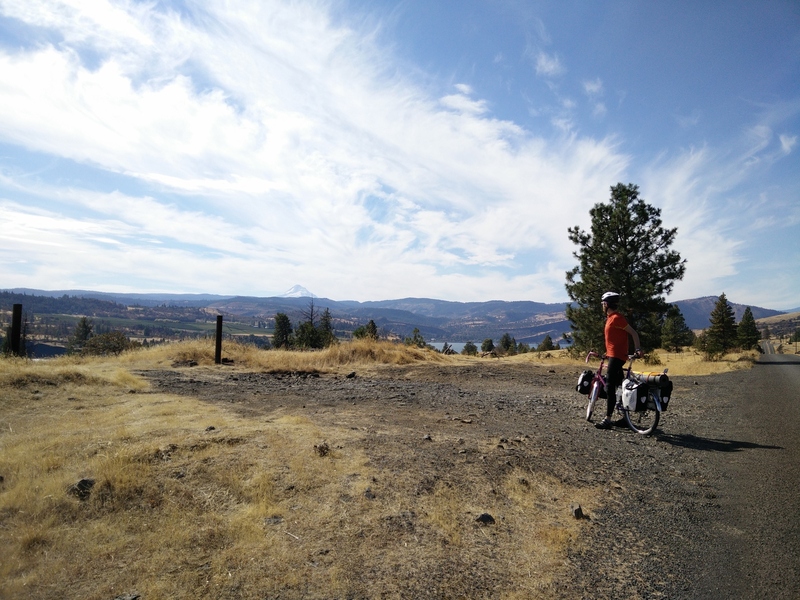 Finally finally, though I suffered a bit on thick gravel, I very much appreciate the existence of John Wayne Pioneer Trail. I hope there won’t be any more secret (or open) attempt to rid this trail! The clouds get nearer and nearer as you bike up. Although the grade is very reasonable, the climb is very long and tough for a hill-whiner like myself.